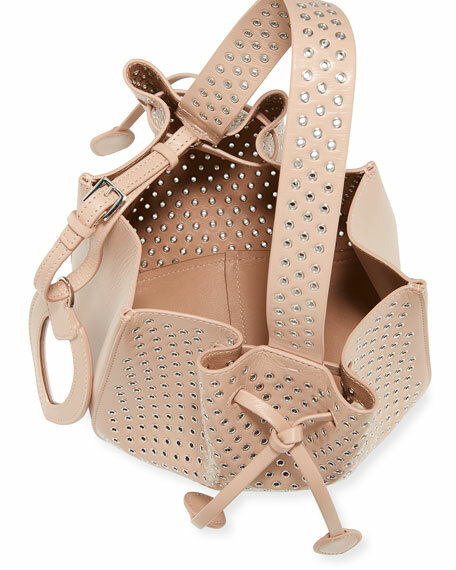 Alaïa bucket bag in cur lux œllet calf leather. 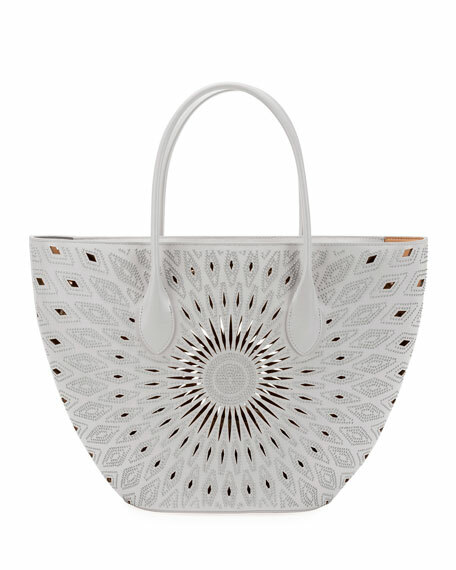 8.3"H x 7.1"W x 3.9"D.
ALAIA crystal-beaded leather tote bag with laser-cut design. Rolled top handles. Open top. Interior, leashed zip pouch bag. Removable hanging mirror. 11"H x 16.5"W x 5.9"D. "Latifa" is made in Italy. ALAIA "Louise" clutch bag in laser-cut leather. Open center; front and back envelope flaps. 4.3"H x 7.3"W x 2"D. Made in Italy. ALAÏA leather clutch bag. Cutout shoulder strap. Envelope flap with snap closure. Interior, leather lining; one slip pocket. 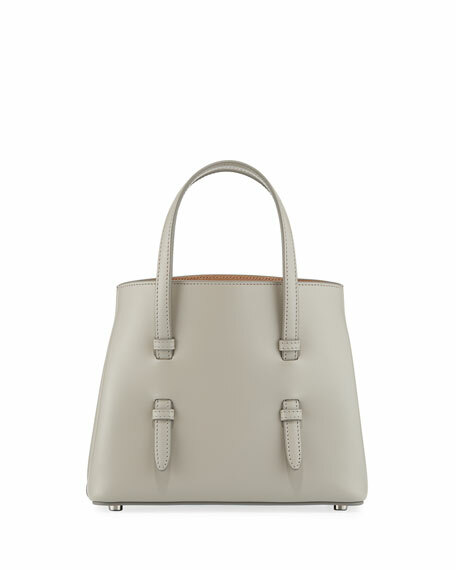 Alaïa soft leather tote bag. Flat top handles. Removable shoulder strap with studded flower appliqus. Open top. Exterior, side snaps expand bag. Unlined interior. 7.5"H x 10.2"W x 5.1"D. Made in Italy.